View Cart “eBook Sanctuary Defiled (Soul in Ashes 3)” has been added to your cart. When Alswyn discovers ash magic that could destroy a delicate peace treaty negotiation, she must conquer the haunting truths of her past in order to catch the sorcerer before the countryside is plunged back into a bitter war. Four thrilling books in one volume! Alswyn has lived in a cloistered sanctuary for nearly a year, building a new life for herself in the land of her exile. 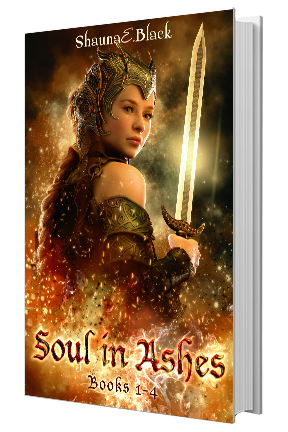 But when King Ghalad’s intended bride falls prey to the evil magic of ash sorcery, Alswyn must use knowledge from her dark past to undo the magic before the countryside is plunged back into war. Unfortunately, digging up the bones of Alswyn’s past may well prove fatal to her soul. When King Ghalad goes missing, the peace treaty balances on a sword edge as his enemies threaten to take over the kingdom. Alswyn discovers the remains of ash sorcery in his chambers and determines to bring him home by traveling to the formidable Plains of Dera, ruled by the goddess of ash magic. The rescue mission gets complicated when Alswyn runs afoul of Cynet, her former betrothed, and the goddess Dera herself. They will both do anything to ensnare Alswyn once more in ash magic. A mysterious illness threatens the lives of Alswyn’s friends, and the sanctuary is placed under quarantine. But there is no stopping the disease, especially when victims begin to morph into vaylah, bird-like servants of the evil goddess Dera. Those left alive blame Alswyn for the sanctuary’s ruin, and she must overcome her religious aversions in order to enter the holiest shrine, where answers await. Will her submission to the gods prove enough to save those she loves? For ash magic crimes, Alswyn is sentenced to the deadly ritual of a Challenge. It is only through the intervention of an unlikely ally that Alswyn survives. To escape, she is forced to take on the form of King Ghalad’s intended bride, a disguise that leaves her heart tangled inextricably with his. Together, they embark on a quest to find the Lost God, a deity forgotten by all but the oldest legends, and the only power that can restore Alswyn’s friends to their true form. But will her web of lies and deceit prove to be the downfall of the quest?